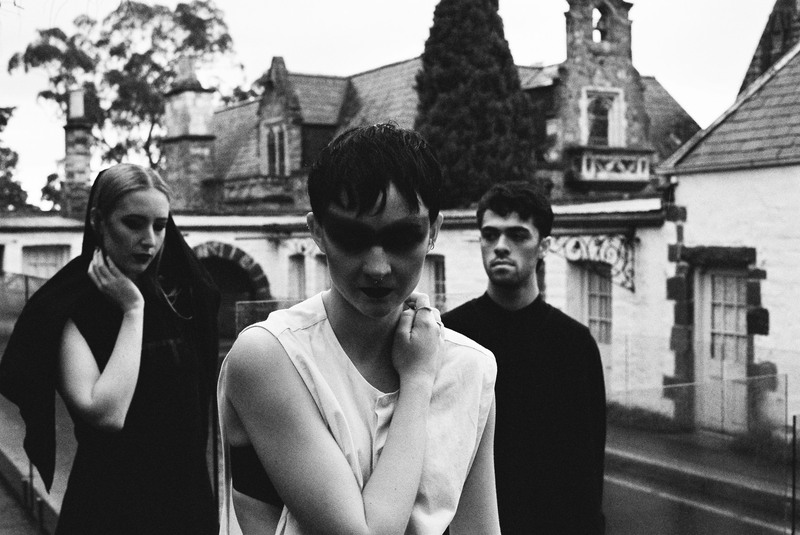 In what might be perceived as a linguistic nod to their Melbourne peers HTRK (pronounced Hate Rock), emerging electronica trio RKDA (pronounced Arcadia) have named themselves in a similarly obscure and minimalist fashion. As first impressions go, debut single ‘Spaces’ left it’s mark by playing with industrial textures in a dark seductive atmosphere. It was a bold artistic statement that (whether knowingly or not) referenced the work of Karin Dreijer Andersson, blurring together elements of femininity with machinery, and avant-garde pop music with experimental noise. New release Quartz is a beguiling creation that hints at a more organic progression, whilst retaining much of what made ‘Spaces’ so intriguing. Beginning with a freshly discovered tenderness, and underpinned by an almost Joy Division influenced post-punk drum sample, ‘Quartz’ builds quickly in both tension and depth, managing to delicately balance melancholy with a powerful primal feel. These are tiny steps towards a bigger world, and RKDA are making them with a growing confidence in their own identity, and a defining clarity in their ideas. Quartz is taken from forthcoming EP CS, which will be released digitally and on vinyl via Riot Expert Records at the end of April.